A recliner will sometimes "walk" across the carpet over time, as the force of the footrest coming up and being pushed down shifts the chair. This can wear grooves into your carpet and cause you to have to push the recliner back into place as it moves. Installing specialized grippers to the feet of your recliner will protect the carpet and keep the chair from moving. 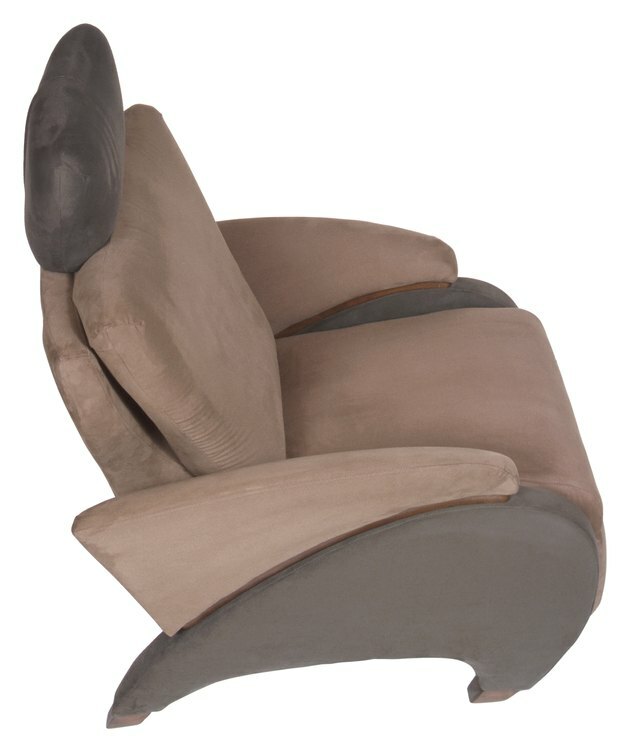 Recliners lean back when the footrest comes up. Push the footrest into place. Turn the recliner on its side so you can reach the feet. Push recliner feet grippers over the feet of the chair. Pick the recliner back up and set it in place. The grippers will keep the recliner from sliding across the floor.